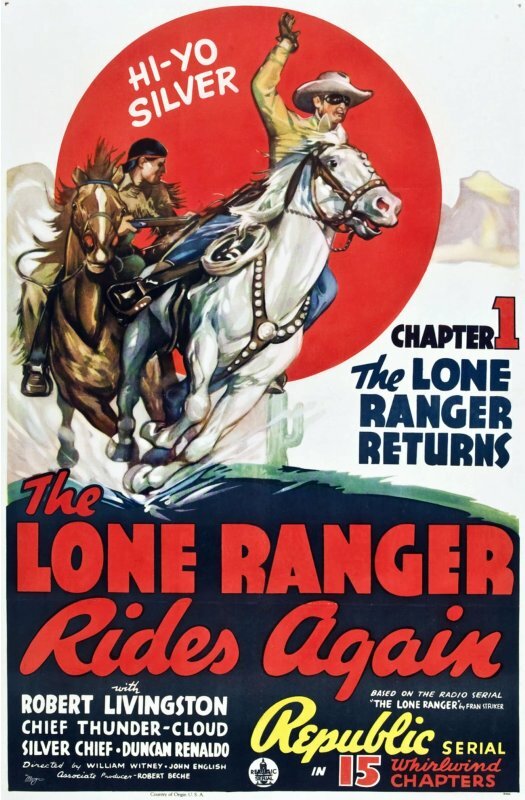 Hero Histories: Dynamic Duos in Classic Film Blogathon: LONE RANGER & TONTO "Part 1"
Dynamic Duos in Classic Film Blogathon: LONE RANGER & TONTO "Part 1"
...since it features five Lone Rangers! Republic Pictures did a movie serial in 1938 based on the already-legendary radio show. However, Republic was notorious for using the comics and radio shows they based their serials on more as inspirations than adaptations, playing fast-and-loose with the concepts and characters, sometimes keeping little more than the name and costume. 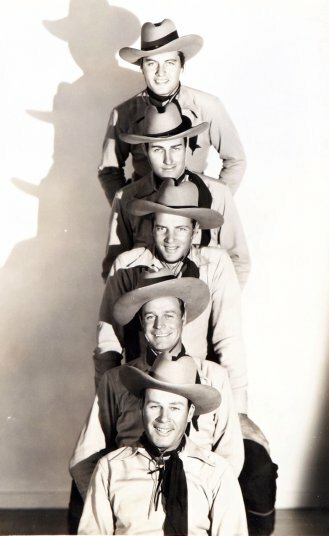 In this case, while the idea of the Lone Ranger being the sole survivor of a massacre is kept, there are five different Texas Rangers (none of whom are named John Reid) who are now working together to solve this case! And none of them will admit to being the sole survivor of a massacre! But only one can be the Lone Ranger! ...and the Lone Ranger wears that odd mask that covers his entire face, making it impossible for the audience to deduce which Texas Ranger he is! The serial has a "whack-a-mole" feel as one-by-one the Rangers are trapped and killed until only two remain. One dies at the end of the penultimate chapter, and, while it's shown the Lone Ranger survives until the end, he's not unmasked until the end of the serial and we discover which one he is. The owners of the character were so pissed at how the Ranger was portayed they ordered all prints and the negative of the serial destroyed! The current versions on video are composited from prints sent overseas. However, Republic's contract gave them the option to do a second serial if the first one did a certain level of box-office sales. 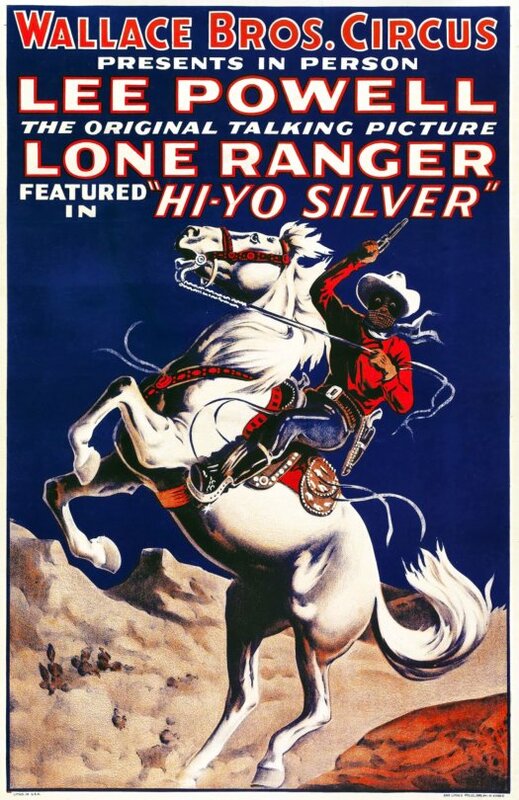 It did very well, so Republic went ahead with a second serial a year later, but since the original Ranger, Lee Powell, was in trouble with both the movie studio and radio show for making personal appearances as the Lone Ranger (see poster above), he was replaced by Robert Livingston as the Ranger, now disguised as "Bill Andrews". Chief Thundercloud (Victor Daniels who was half-Native American) returned as Tonto. It was a typical Western serial, well-done, but not really as good as the first Ranger production. 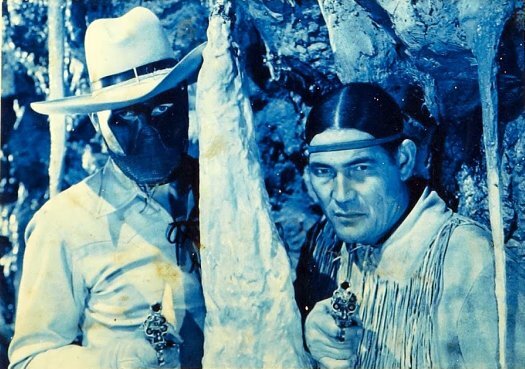 When next the greatest duo in Western fiction appeared on the big screen, it was in the form of the definitive Lone Ranger and Tonto from the small screen, as you'll see at our "brother" RetroBlog, Secret Sanctum of Captain Video™, later today! And see many, many other "Dynamic Duos in Classic Film" at this LINK to the blogathon participants! I like your selection for the duos! 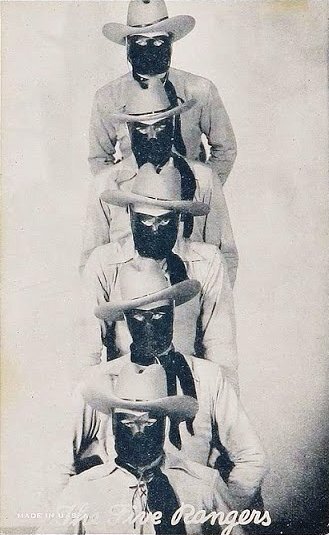 I must say, the Lone Rangers look mighty creepy with those masks! Thank goodness they were modified!